A couple of months ago, I shared nine of our favorite children's music albums with you. It was a good list, but it was incomplete. For the sake of space and time, I had to leave off many of our favorites. One of those was Laurie Berkner. I think the very first song I ever heard of hers was "Rocketship Run" (still one of my favorites). But where my kids and I really fell in love with her was at our little music class. There, week after week, class after class, her song, "We are the Dinosaurs" was requested over and over again. All the kids loved to march around the room, stopping to pretend to eat and sleep and ending with a huge gigantic roar. 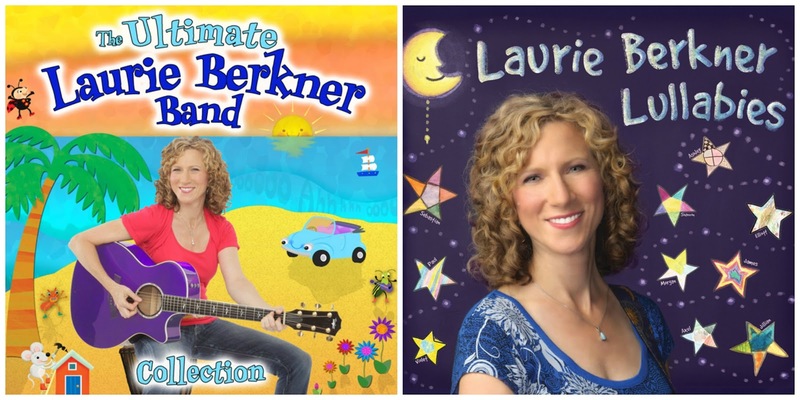 Anyway, I'm telling you all of this because soon after the children's music post went up, I was contacted by Laurie Berkner's publicist to see if I'd be interested in receiving her two latest albums: The Ultimate Laurie Berkner Band Collection and Laurie Berkner Lullabies. I had already been planning a Favorite Music Albums: Part 2 post (still in the works), and Laurie Berkner was going to be one of the featured artists. Of course I said yes. We have been enjoying them immensely ever since. We are the kind of old-school family who still own a CD player (actually, two), and I hope we never have to give it up because it's so easy for my kids to operate. And operate it, they do. They have been popping in Laurie's CDs, cranking up the volume, and dancing to her music all around the house. Our favorite songs (from these albums) are "Walk Along the River," "The Cat Came Back," and "Fireflies." We love Laurie's music because it's vibrant and exciting without being obnoxious or cheesy. 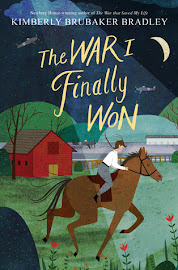 (One of our requirements for children's music is that is has to be appealing to the kids and the adults in our family, and Laurie Berkner's music is.) The Laurie Berkner band is made up of Laurie and three other fantastic musicians (Susie Lampert, Brady Rymer, and Bobby Golden). Their sound is both unique and classic, and what I mean by that is that it's distinct enough you'd recognize it anywhere, but it's also something that has a lasting, tried-and-true quality about it; I can definitely see my kids sharing it with their kids someday. Many of the songs Laurie sings are original compositions, and she just seems to get kids. She understands their interests, their senses of humor, and their imaginings. 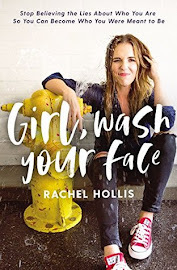 Her songs cover a wide range of topics, as evidenced by her latest project: six digital albums of already released songs grouped by categories: animal songs, food songs, movement songs, etc. I believe they'll be available in June. Who is one of your favorite children's artists? Who inspires you? It's hard to pick a favorite chidren's artist, there are so many good ones these days! We have actually been listening to a lot of The Beatles in our home again recently, and I always get inspired all over again hearing their music. 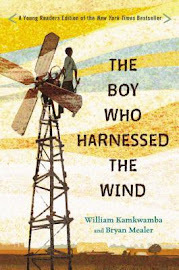 I am also really inspired by listening to kids and what they say. They are the most natural poets, and they talk about the kinds of things I want to sing and write about. Also, while this may not have been your question exactly, as far as other children's artists go, my biggest inspiration is Brady Rymer [the bassist in her band]. Getting to know him as a person and a musician has been one of the highlights of my career. He is really such a wonderful and talented human being who is always thinking about that connection with the kids. I feel inspired by him every time we play, rehearse or record together. One of my children's favorite songs of yours is "We are the Dinosaurs." We sang it for many weeks in a row at a little music co-op we participated in with a group of friends, and even when it wasn't on the agenda for the day, the children would still make us sing it. Even though it is not included on these most recent albums, can you tell us a little bit about what inspired that song? That song was one of the first ones that I wrote after asking the kids in my music class what THEY wanted to sing about. It was so brilliant when one of them yelled out "dinosaurs!" I just started playing a marching beat in a minor key and making up words. Soon it got pretty exciting - so exciting that there was a lot of roaring and yelling, so I added parts where the kids could eat and sleep in between and hopefully hold off until the end where the roaring actually is part of the song! Over the years I saw how this song gave the kids a chance to express feelings in school that they weren't usually encouraged to express, specifically acting big and strong and powerful and angry. Are any of your favorite songs from your childhood represented on your albums? What do you like to do besides sing? I love to ride my bike, I love to knit, I love cooking and reading about food, and I love reading with my daughter. Listening to music together, especially if you are dancing or singing along, is a great way to share music with your kids (and it lets them know you are actually enjoying it along with them). I also love to make up songs about anything we are doing -- standing in line at the store, walking to school, playing in the sandbox, cooking dinner (one caveat is that this gets less acceptable to do in public as your kids get older!) or make up rhyming games that we play at the dinner table. And don’t forget about going to musical performances! Kids' concerts, musicals, orchestra performances, church choirs, there are so many ways to experience music as an audience member with your kids. Often, seeing people perform live is extremely inspiring to a budding musician. Many, many thanks to Laurie Berkner for taking the time out of her busy schedule to answer those questions. 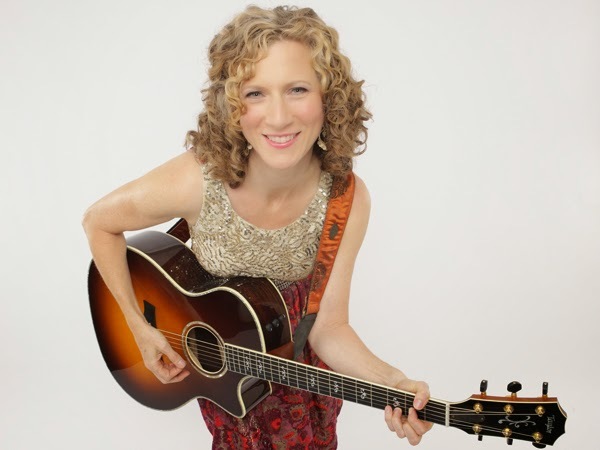 I'd love to hear about your favorite Laurie Berkner songs in the comments! I was provided with copies of The Ultimate Laurie Berkner Band and Laurie Berkner Lullabies from Waldmania to review. All opinions are my own. Our nanny introduced us to We Are the Dinosaurs, and now my kid will NOT STOP singing it. He even uses a ukulele as a pretend guitar and acts out all the actions Laurie does in the music video. I haven't heard any of her other stuff, so we'll have to check these albums out.